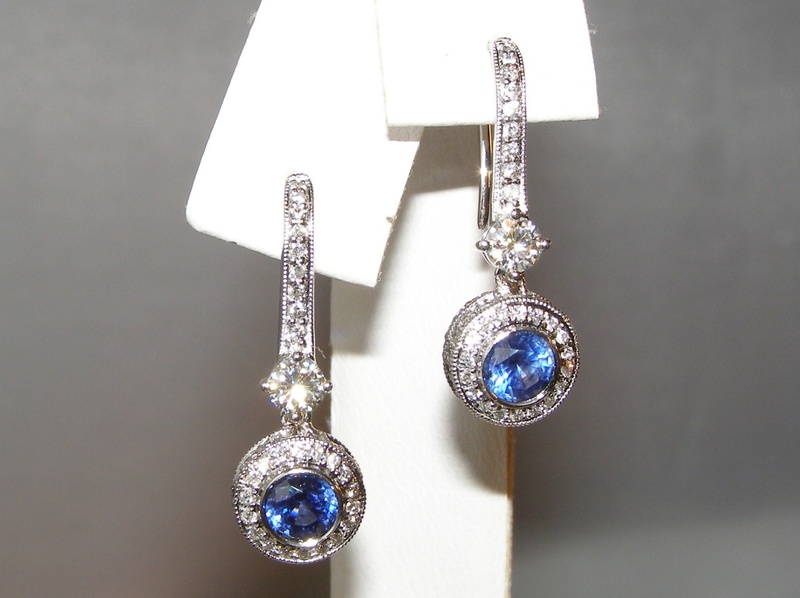 Nothing but the highest quality ingredients went into making these delectable earrings. 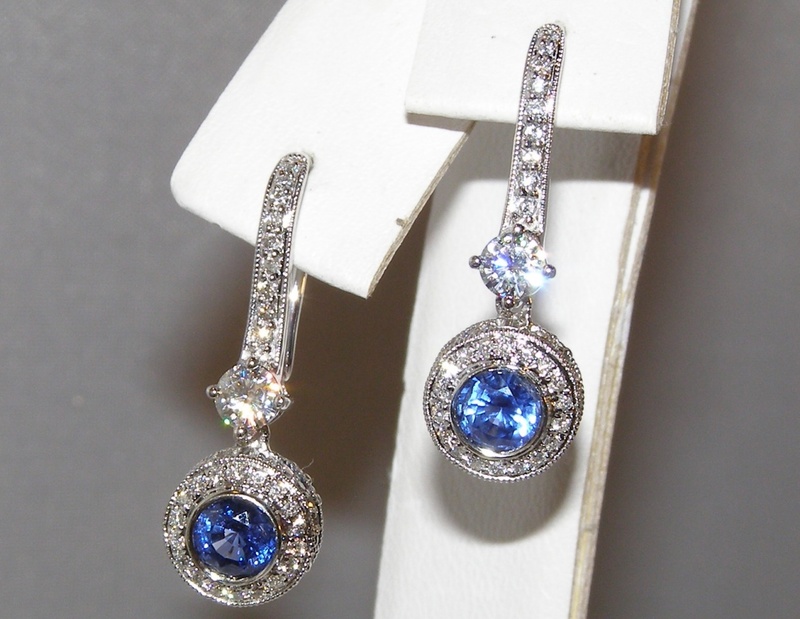 Art Deco period inspired the earrings incorporate varying geometric shapes, pave set diamonds and milgrain edges. 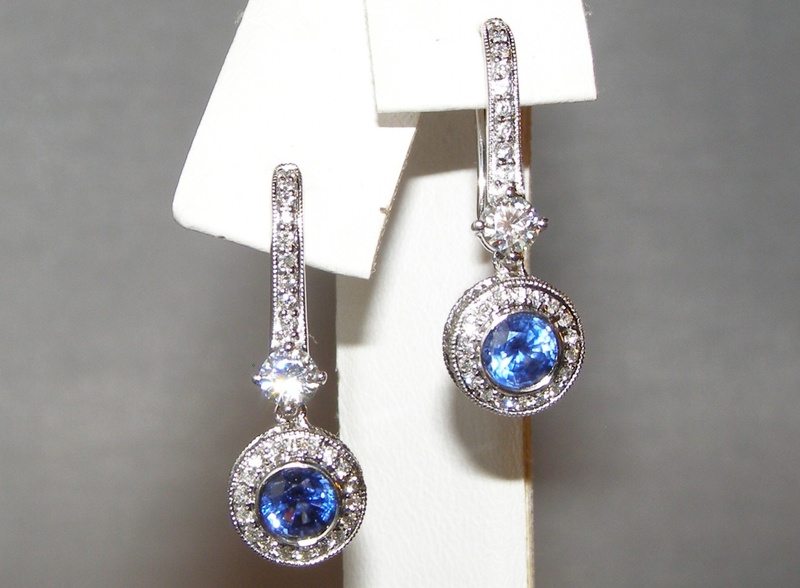 A pair of fine quality Ceylon rich cornflower blue sapphires weighing 1.06 carats and measuring 4.5 mm is bezel set in the center of the bottom portion of the earrings. 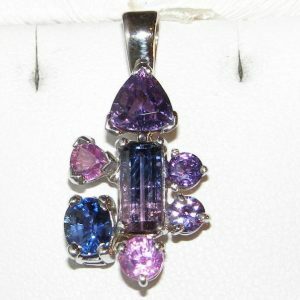 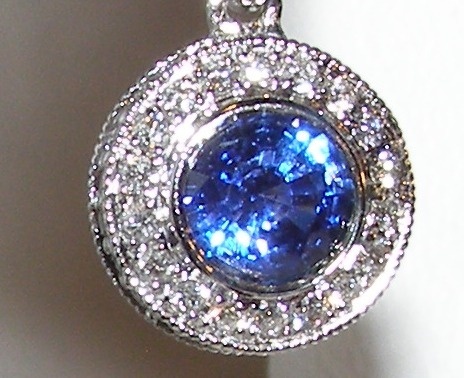 The bright blue sapphires have excellent color that is a rich ideally saturated cornflower blue. 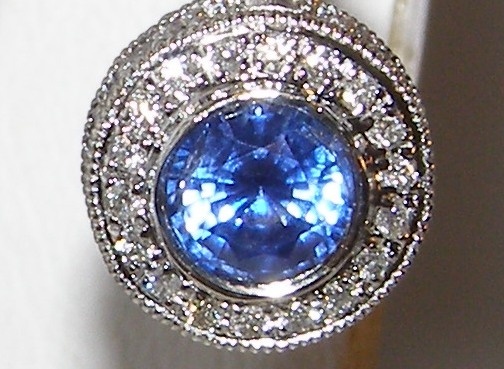 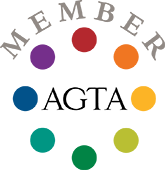 In addition they have excellent clarity, precision round brilliant cutting and super brilliant bright blue flashes. 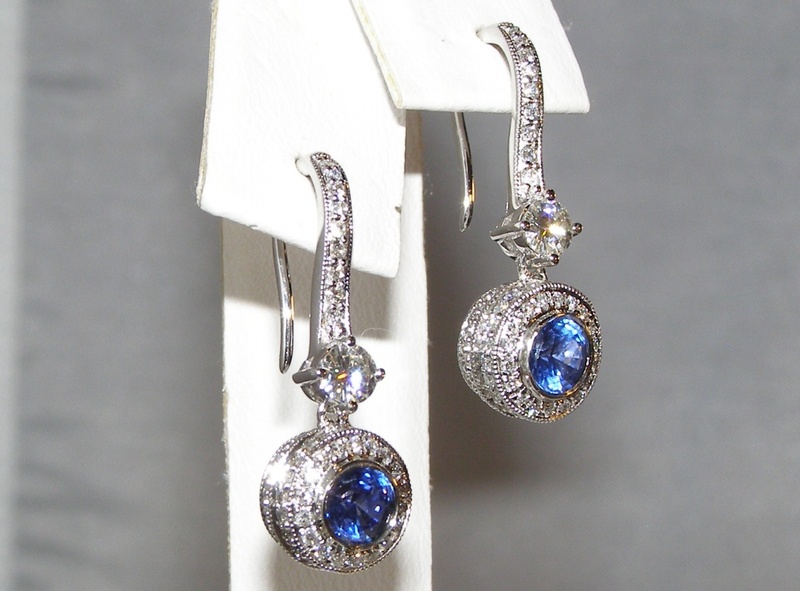 A halo of round brilliant diamonds surround the sapphires and line the upper portion of the earrings. 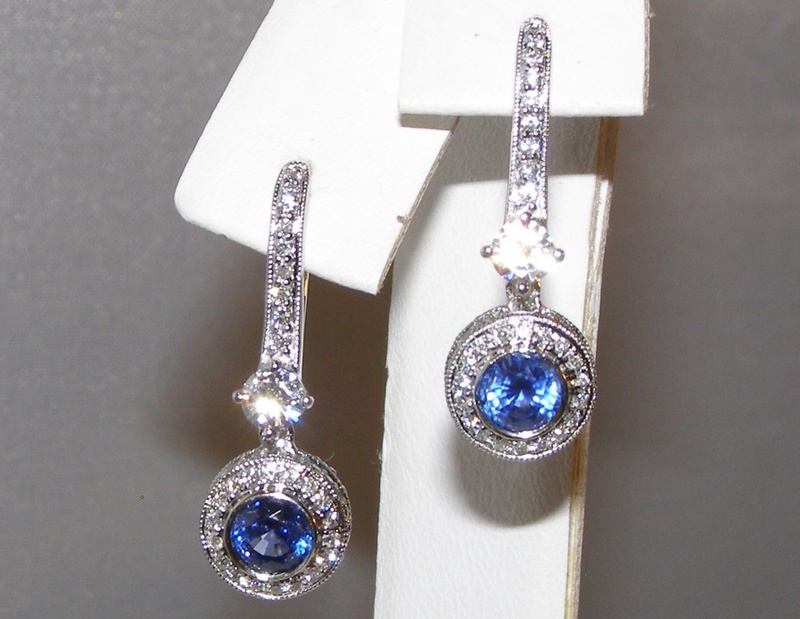 A pair of princess cut diamonds create the middle link of these dangle earrings. 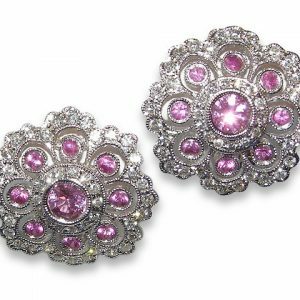 In total the earrings have 0.50 carats of SI1 GH quality diamonds and feature Euro Wire backs. 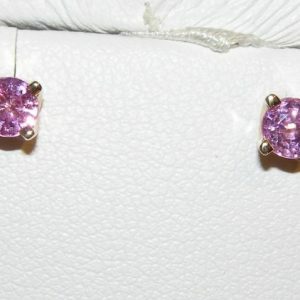 The earrings weigh approximately 3.5 grams for the pair and are 1″or 26 mm in length.